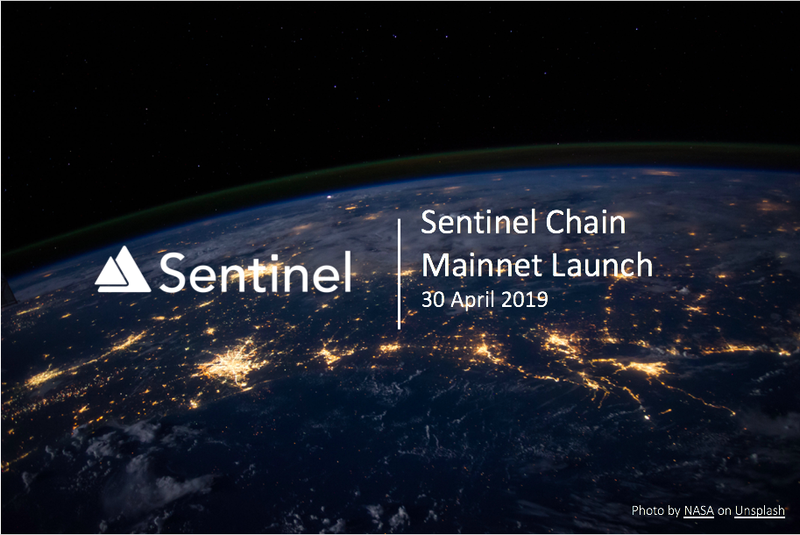 After more than 9 months of hard work, we are ready to announce the launch of the Sentinel Chain Mainnet on 30th April 2019. Our original plan of launching Sentinel Chain in March has to be pushed back to give more time for peer-review and code audit, which is expected to complete before the launch date. Since the completion of our earlier milestones, launch of Orion Testnet and launch of FarmTrek Mobile, Sentinel Chain has gathered some further insight on its design and some major changes have to be made for it to be more applicable in the real world. These changes include the way SENI (Sentinel Chain’s native cryptocurrency) is implemented, the design of whitelist for the cross-chain bridge as well as the addition of a toll collection contract. Finally, we have to make some design changes to the way Sentinel Chain is coupled to FarmTrek, after gaining some new insights into how SENC can be better utilised in the real-world. The challenge is not technical related. To err on the side of certainty, we feel that we should give more time to bring Sentinel Chain ecosystem onto Orion testnet to develop insight and foresight to make it sustainable. We are working on this matter and we will announce some new initiatives with partnerships that can deliver real positive impact to the project. The most common criticism about Sentinel Chain is the scanty information given to the public, and I have to apologise to the community for this. It is not ideal especially when the principle for ICO is founded on transparency and decentralisation but it is borne out of necessity. We are facing competitions in the local market from large big players, using ideas similar to ours. Fortunately, the competitions are not as evolved in their understanding of our model. In order to maintain our first-mover advantage, we need to be cautious about business confidentiality. Another important point to note is that, our partnerships oftentimes involve government agencies, therefore we can only divulge information after certain policies are made public. Another challenge to communication is that we are adapting to an evolving business landscape and information can become obsolete before it is even made public. We have also learnt our lessons on how the information we shared can be taken out of context by speculators. Some of the approaches we announced last year are no longer feasible either due to better understanding of the market or shift in paradigm. We have taken steps to filter out the noise and focus on certainty of information. “Less is more” will be the new norm in the crypto world. This is a critical time for all crypto companies and is no different for the Sentinel Chain project. For us, surviving the Crypto Winter is not good enough. It is also a time for us to be truly tested and proven as a self-sustainable business model. Our team of 40 around the world has been reduced to a size of 15 with the largest hit in the Singapore team — in areas of partnership development, PR and marketing. Fortunately, one of the trait of a successful startup is being nimble and agile. In order to do more with less, we are looking to adapting and improvising our operations. At the same time, we are radically rethinking our approach on how to fast track SENC adoption and will be announcing plans shortly. It has been a bumpy ride for 2018 and we expect the crypto business climate in 2019 to have a slow start. However, this is also an opportunity for us to reflect and streamline our operations. We are focused on building Sentinel Chain into a self-sustainable model for the long term. We cannot control how the market behaves and, being mere mortals, we certainly cannot promise to be successful at all times. What we can promise though, is that we will continue to persevere, for the good times and the bad times. We are grateful to, and hope for the community’s continued patience and support, in giving us the courage to move forward in the face of adversity. Thank you. InfoCorp Technologies Pte. Ltd. is a fintech company that provides the infrastructure to accelerate financial inclusion to unbanked and underserved communities through the use of blockchain technology. It designs solutions for small bank consortiums in emerging countries to facilitate inter-bank transactions using distributed ledger technologies and provides consultancy services to clearing house and central banks on implementations and testing of real-time payment systems, and also to corporate clients on implementations and operations of distributed ledger technologies for production use. Sentinel Chain is a blockchain-based international marketplace for cross-border financial services and the world’s first platform to accept the use of livestock as collateral. Taking a unique approach to the last mile problem of financial inclusion, the Sentinel Chain model establishes livestock provenance through the creation of livestock insurance on blockchain — the registration of livestock provenance on blockchain provides the unbanked with a new opportunity: the real possibility of accepting livestock as ‘collateral’ for loans. Sentinel Chain is a project by InfoCorp Technologies.